If I were to admit that this is where I stayed during my recent trip to New Orleans, would you believe me if I added an addendum that I absolutely loved it? 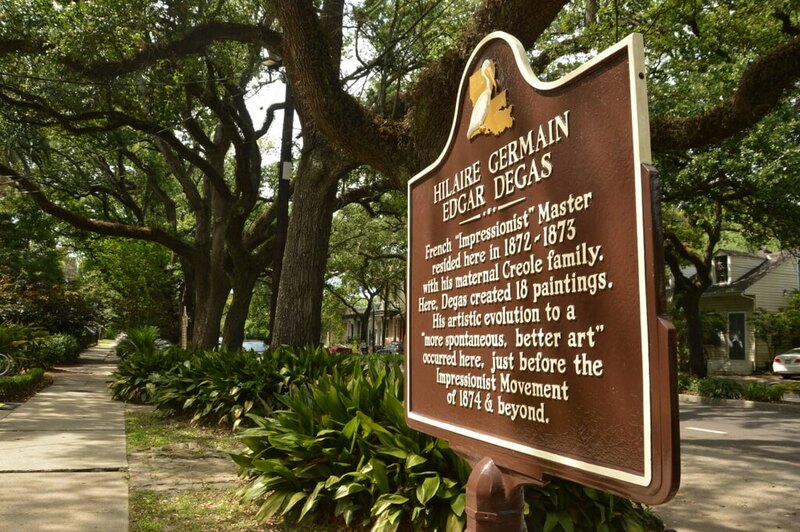 There’s a reason why the Degas House is so special, and it’s not just because Edgar Degas, the famous painter who became famous only after his much-needed sojourn to visit his family in New Orleans in the wake of the Franco-Prussian War, stayed here for three months. It’s not just because it’s a 19th century white-columned, Southern mansion that was split into two in the 1920s because of irreconcilable differences between the Degas families. 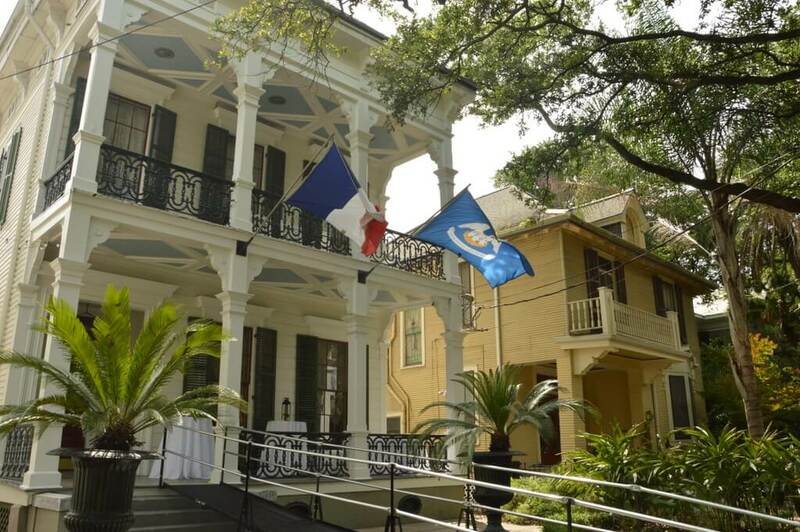 And it’s not just because it’s walking distance from the splendid French Quarter, a place I’d only heard and read about and that, in my three days there, far surpassed anything I could have ever imagined it would be. It’s because I had the chance to imagine what my world would have been like had I been a 19th century artist, relegated to the garret room, nothing more than a sketchpad, a wooden easel, and some charcoal or a few paintbrushes in my bag. My world would have been significantly different, I knew, but as I spent more time in our room, I realized that our worlds might have collided in more ways than I’d thought. I, like Degas and his artist contemporaries, would never have stayed on the bottom floor, where the prestigious and wealthy would sleep; like Degas, I, too, have suffered from the anxiety that comes in the aftermath of tragedy and needed an artistic outlet to help me heal; like Degas, I, too, find myself ever more comfortable in the company of fellow artists, writers, and musicians than I ever have with the polite company downstairs. Of course, staying in the garret room is a little less romantic than imagining staying in one, because the lack of windows and the sloping roof (while nostalgic on their own), are a little weird in terms of figuring out what time of day it is or watching your 6-foot 2-inch tall husband bump his head over and over again because he misjudged the angle of the slope. Between walking the streets of the French Quarter and preparing for the wedding we were attending that evening, I took a thirty-minute nap and awoke, startled, because I couldn’t figure out how long I’d slept or how long I’d been in the bed. There were no windows and no daylight to assist me. I had to thrust open the large door of our room–the Carrie room–to to make sure the 3:30 on my watch didn’t mean 3:30 in the morning. (Luckily, it was still bright and sunny outside). Our room was quintessentially garret-like: quiet, solitary, and focused. Because there are no windows, there was virtually no sound at all from the traffic and pedestrians who frequented busy Esplanade Avenue below it. The room itself was decorated in a soft combination of mauve purple, grey, and taupe, all cool colors that gave the room a sense of solitude and calmness. Next to the queens-sized bed was an antique writing desk, small enough for one person and topped with a bottle of complimentary red wine and two glasses, and on the other side, a wardrobe, filled with artist’s sketch paper and pens for when inspiration might strike. With hardwood floors, dark wooden accent pieces, antique lamps on twin bedside tables, and the sloping ceiling, the room doesn’t feel at all cramped; instead, it feels like a refuge, away from the busyness of the city, far above the clamor and chaos of the parties, weddings, and events that happen downstairs. These are, indeed, the artists’ quarters, and a place where, as our guide would tell us, Degas’ nieces and nephews often played on rainy days during their summers. Of course, if you’re not into experiencing life in the garrets, you can also stay in one of the house’s many other rooms: all named after family members (many of whom appear in Degas’ paintings), there are three suites, two rooms, and four garrets. However, there is something very unique about staying in the garret room, something that I’m not sure any of the suites or other rooms have. Maybe it’s the ghosts of artists past, their creative energy lasting long past their visits; maybe it’s the novelty of staying in an old home’s attic; maybe it’s something else entirely. If nothing else, it’s probably quite unlike anywhere you’ve ever stayed before. After our first night, we decided to try the Breakfast & Tour option (which you can read more about on their website if you’re interested). Basically, this option, which costs $50 per person, includes a full, cooked-to-order breakfast in the dining room with other guests and a 2 hour tour, given by either a local historian or one of Degas’ great-grandnieces. The breakfast was lovely, and included fresh fruit parfaits, ham and cheese omelet topped with tomato salsa, homemade biscuits, and freshly-brewed chicory coffee. We chatted with the other guests who sat around the large dining room, swapping stories of sights to see in New Orleans and sharing where we came from. At our table, we had newlyweds, people from both the United States and abroad, first-timers, New Orleans locals, and seasoned travelers. The tour, too, taught me to love New Orleans in the way Degas might have fallen in love with it during his journey here from Paris, and I imagined what it must have been like to set up an easel and paint my family during languid summer days here in this beautiful Southern city. We walked through the house and gardens and did a guided analysis of Degas’ prints hung throughout the house. By the time our weekend in New Orleans had come to a close, I, too, felt a little more inspired. Perhaps I won’t be painting ballerinas or my family in our 19th century mansion, but I might just try to write a little bit more. 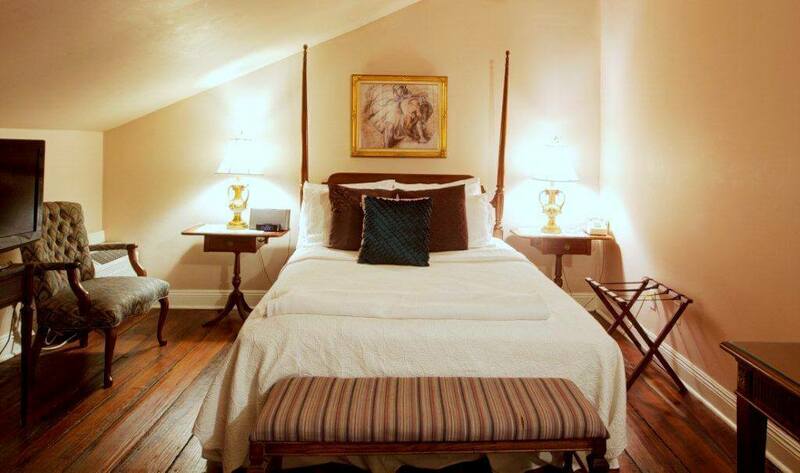 At the time of this review, summer rates run from $199/night for the garret rooms to $300/night for the suites. The special Breakfast and Tour option is $50/guest. To make a reservation, you can reserve online or call the number below. You can also book with Travelocity and Expedia. 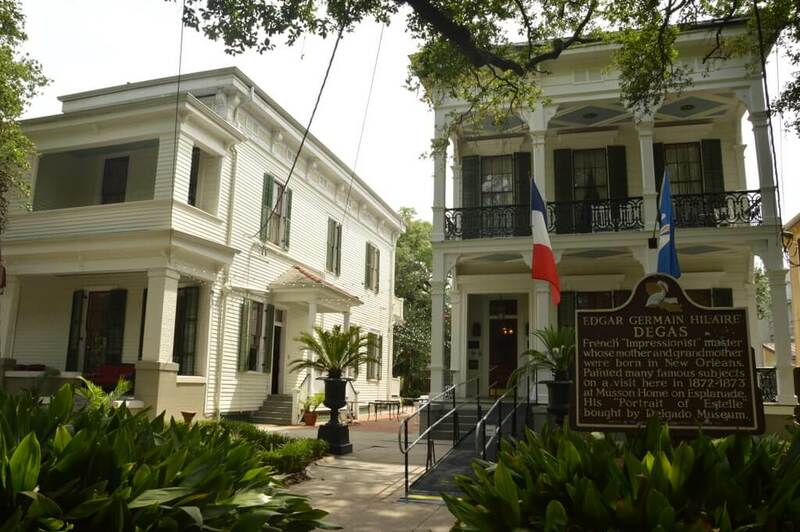 A special thanks to the Degas House and the New Orleans CVB for hosting me during my stay.